We believe in the One True God - Father, Son, and Holy Spirit. We believe that God speaks to us through His Word (the Bible, the Holy Scriptures) so that He might reveal to us His plan of salvation in Jesus Christ. We believe that God, who is present everywhere, chooses to be present with us in special and physical ways. He is not far off. He has come near and invites us to come to Him. 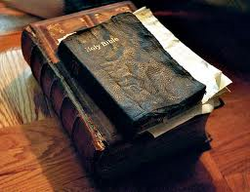 He is present with us in His Word that we read and hear. He is present with us in the celebration of the Lord's Supper. The living and active Word comes to be present with us and for us as He feeds and fills us with His life and peace. That is good news for the seeker - those searching for God. He comes seeking us and inviting us to share in His joy when one more who has lost their way is found and brought home. As His heralds, we invite you to come to Bethlehem and see God at work through His Word and through His people to build a community where the broken and burdened can be healed and find their rest. Empowered by Jesus to be His hands and feet, Bethlehem is a caring community called to be His compassionate presence in this world and to build community by reaching out with the life-giving Word to those in our neighborhoods who are wearied and burdened by life’s demands and changing circumstances. When we take seriously the call of Scripture to pray for one another, we are ministering in prayer for the well-being of another person. Wonderful spiritual power is released when two or more people pray together in unity with one another. 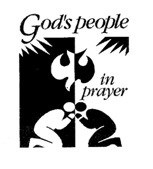 Bethlehem Lutheran Church’s Prayer Ministry Team is committed to the prayer life of our Church and will pray together for those who request our prayers. Drop your prayer request in our Prayer Box at Church or email it to: joannebullock.blc@gmail.com. All requests are treated confidentially.